The Modern Precision Rifle is an ultra-lightweight chassis rifle designed to break with tradition. Beyond the folding stock, the complete package is well equipped with a target-contour Christensen Arms carbon fiber barrel, carbon fiber comb, free-floating carbon fiber handguard, and 20 MOA rail. The action and stainless steel side-baffle muzzle brake are finished in Black Nitride for a sleek look and smooth operation. 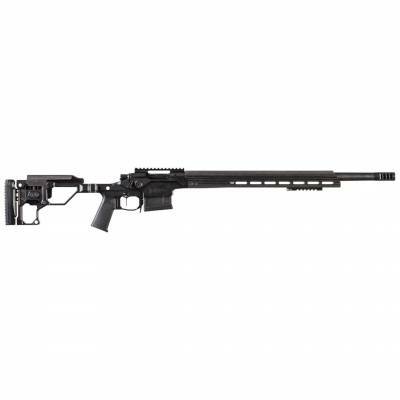 The Modern Precision Rifle weighs in starting at 6.9 pounds and is backed by the Christensen Arms Sub-MOA Guarantee.